Though sad to leave my post in Young Women’s I was excited for my calling to be in Relief Society. This was a new feeling. Relief Society and Visiting Teaching had always felt disconnected with an added sense of guilt an even a bit of dread. Much of this created in my own head, stemming from my own insecurities. The idea of Visiting Teaching terrified me. I was willing, just clueless. I remember pleading to a Relief Society President when I was first married to partner me with someone that could take me under their wings and show me the ropes. When they made the announcement that there would no longer be visiting teaching and instead Ministering…. and that Young Women would be stepping into the role… tears streamed down my face. Every bit of my pulsed with conviction that our Savior Jesus Christ is at the helm. When the call was extended to teach in Relief Society I was excited. As my first week approached to teach, I quickly realized that teaching from someone else’s talk posed a few difficulties that I didn’t foresee. In the Youth’s Come Follow Me curriculum you are given a topic or question to teach and supported with multiple addresses, questions, and suggestions for how to deliver the message and lead the discussion. 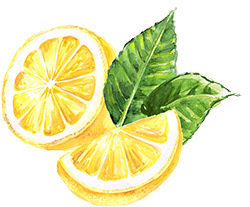 If you are reading this now, you have likely discovered that you are given the specific talk, and a small paragraph of direction and suggestions. I hope the following will help you as you prepare. 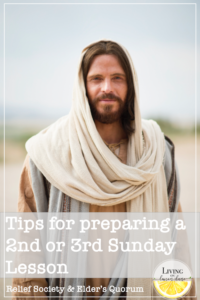 Tips for Teaching Second and Third Sundays. 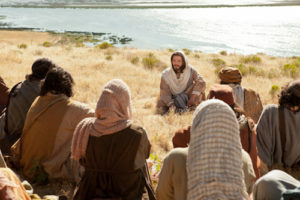 If you haven’t already, take the time to read and ponder Teaching in the Savior’s Way, as well as reading through the introduction of the Come Follow Me curriculum given to Elder’s Quorum and Relief Society. You can access both through the links above. Study and listen to your assigned Conference Talk. You can find your assigned talk through the church’s website, the Mormon Channel, and even Youtube. I try to listen to the assigned talk multiple times before actually sitting down to prepare the lesson. Listen while you drive, go for a walk, exercise, clean the house…etc. While you listen think of questions that could be used in a discussion. The more familiar you become with the address the better. As you go about your week pray for guidance and direction, as well as to have your attention brought to experiences or scriptures that relate. You may even find that you have an experience that feels specific to what you will be teaching on. Prior to your lesson find a way to encourage members of the class to read the talk you will be discussing. “Leaders and teachers should find ways to encourage members to read the selected message in advance and come prepared to share gospel truths and ideas about how to act on them.” This invitation can be given through e-mail, text, facebook groups, or at the end of a Sunday Lesson. When I am read to start organizing my thoughts and preparing, it is helpful to print off the talk. This time as I read through it I like to separate the talk into natural breaks, topics, stories, ideas. Writing the topic or a title for each section in the margin. As I read I also highlight key takeaways, questions posed, any call to action, “an answer to a question, an inspiring passage, or an example of a principle.” I also write down any questions I think of in the margin next to the text it relates to. Hidden Gems: The next thing I like to do is go through the references listed at the end of the talk. ***This is best done online. 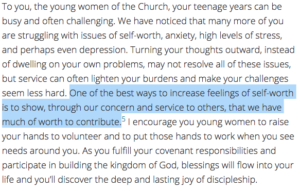 Pull up the talk through the church’s website, scroll to the bottom, and then expand the references section.Here you can find the inspiration to much of the address. Let me give an example of a hidden gem I cam across recently. As I was preparing to teach “Young Women in the Work” by Bonnie Oscarson I noticed a random reference note attached to the beautiful phrase as shown in the picture. Notice that tiny little reference 5… When I clicked on it I was lead to this scripture that isn’t even mentioned in Sister Oscarson’s talk. (Matthew 10: 39) 39 aHe that findeth his life shall blose it: and he that closeth his dlife for my sake shall find it. In Teaching in the Savior’s Way we are encouraged to use the scriptures and use them often. “at every opportunity, inspire those you teach to turn to the word of God for guidance, answers to questions, and support.” The reference list is the perfect place to start your search for scriptures and latter day scripture to guide your discussion. What changes are you prompted to make in your own life after reading/discussing this? Do you have a scripture or scripture story that comes to mind? Have you had an experience in your own life that illustrates this? Why is this relevant to the topic/gospel? Going forward what changes will you strive to make? Decide how you are going to deliver the material. I always try to have at least one additional method besides the teacher reading and the class responding. My go to is video clips. After sectioning the talk off in to topic, I watch the video and assign the segment of time on the video to each topic. That way I can share and pause the pieces easily without having to search. Less that 3 minute video segments are ideal but I have gone upwards to 5 if it stays focused. If you are wanting to use a video segment that is 5 minutes or longer, consider pausing it to discuss what has been said or asking a question to be discussed. The simplest way I have used video clips is ON MY PHONE through the TV. All you need is an HDMI cord connects your phone to the TV from the library. The TV then displays whatever is shown or playing on your phone. Other options to consider would be breaking the class into small groups 3-5 people per group in my experience is about right. 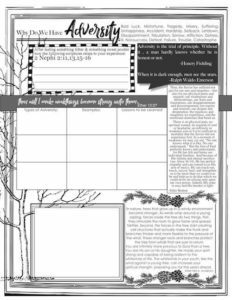 Assign a topic, section, question, or scriptures to each group as well as an objective. When everyone is finished will they be teaching the class, summarizing, answering a question… You will want to plan your time for this appropriately and may need to support some of the groups. This is a great way to get everyone involved and talking, while taking the pressure away of participating in front of the entire class. Are there materials you could bring, display, or play that would add to the lesson. Besides video clips, consider a piece of music, graphic organizer, a poem, a picture… In my Small and Simple things lesson, at the end of the class I passed around an i-pad with examples of Pointillism Art and asked the members to come up with a correlation between the two. What was said was far more beautiful and inspired than what I would have come up with on my own. The following two come from my experience as a school teacher. Socratic method: Each member of the class is given a slip or slips of paper and asked to participate in a discussion. When they participate they can put a slip of paper on the floor or in a community pile. The hope is that at the end of the lesson no one will have a slip left. Gallery Walk: This is extremely flexible. Basically you post things around the room, and ask member to walk around to each one and respond or reflect. 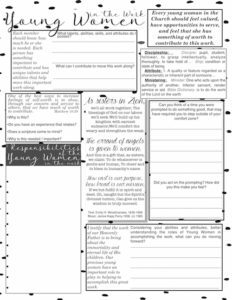 This can be done with quotes, pictures, questions, a combination of all of these… You can place posters with a quote and a question and each member will write their response on the poster. You can either give them a total amount of time to pace themselves, or you can give an allotted amount of time at each poster and have them rotate after each interval. At the end of the respond and reflect you could then assign a poster to a small group and give them the assignment of reading through, and then summarizing the thoughts for the rest of the group. Consider the order you will deliver the message. Do not feel bound to chronological. Remember you organize the talk into sections. Decide what is the overall message you want members to walk away with and prioritize your lesson based off of that. As you organize consider stories, experiences, questions, and methods of delivery. Testify and Call to Action… The most important part of the lesson. What truths will you testify of to close your lesson, what will the members be inspired to do? Invite them to change, give them something to work on, to do, to take away from the lesson that they can apply and immediately start working on in the coming week. This can be an invitation to act as an individual that they decide upon personally or an invitation to act as a group. Either way this is where conversion takes place, this is the purpose of the lesson. ***Pay attention to the talk you have been assigned most of the time there is if not one but many calls to action, or an invitation to act. Remember we have been asked to come back and reflect each week on the previous lesson. Here is where we would discuss the invitations to act, what they brought about, feelings experienced, here again we testify. “Share experiences with acting on impressions and invitations received in previous priesthood or Relief Society meetings (led by a presidency member). I hope these thoughts were helpful as you plan and prepare your next lesson. Make sure to check out the Exclusive Digital Library where you can download Graphic Organizers that I create specific to the talk assigned. Expectations are Everything. If you wish a class would participate more…. tell them. If you wish people would stop distracting from your lesson by visiting or looking at a device….tell them. At the beginning of each lesson I make sure to stress how much their contribution is needed. There is a responsibility on the teacher to prepare, invite, and guide. Often we forget about the responsibility of the student to participate, think, and to ponder. Remember you can not hold someone to an expectation if they don’t know what the expectation is. List your expectations to the entire class at the beginning, then facilitate an atmosphere conducive to your expectations. Don’t be afraid of silence: It’s ok to have an uncomfortable silence, even if you are dying on the inside… Stand confident. Give it sometime. Ask the question again, rephrase it if you can. Some of the best responses will come from a good awkward silence. Worst case scenario, assign the question to someone and say we will come back to it and discuss. Have everyone turn to a neighbor and discuss it with them, next asking a partnership to share what as discussed. You can even ask a partnership to share their thoughts before the discussion so they know they have a responsibility to fulfill. A teaching tactic you can try with a student dominating or distracting from the discussion or is a neighbor turn and talk. Have everyone turn to their neighbor and share their thoughts, if time allows ask if anyones neighbor had a thought worth sharing. This typically encourages other members of the class to participate, while still validating the person’s need to be heard. 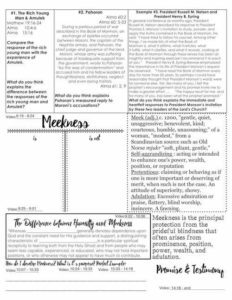 If you have a student that distracts from the lesson with remarks that are off the wall, intended for laughs, or meant to discuss the location of the 3 Nephites, it might be helpful to remind or revisit what you are listing as your expectations at the beginning of the class. What is the purpose of everyone’s attendance. List the purpose, and ask for participation focused on that purpose. If you are searching for a little reading material about teaching, you might be interested in reading Teaching and Learning in the Church by Elder Jeffery R. Holland. This was given in 2007 prior to the new Teaching in the Savior’s way and you can see much correlation between the two. I would love to hear any tips, or ideas that you have used in your own lesson or plan to use! What has worked well for you?